William (Will) Joseph Arthur Goodhue was born October 4, 1868 in Quebec, Canada and graduated from Rush and Dartmouth Colleges in medicine. He went to Hawaiʻi in 1902 as an intern practicing on Kauaʻi. He fell in love with Alice Saburo Hayashi, aged sixteen, and she ran off with him to Honolulu where he had been offered a job, and he set up a home with her in Pālama. A child (William Goodhue George) was born in 1903; William paid child support, but did not marry Alice. Dr Goodhue and John D McVeigh assumed the positions of Resident Physician and Superintendent of Kalaupapa. Goodhue was not only a surgeon in the colony, but spent a great deal of time developing new treatments and improving upon old ones; several of his findings were published in medical journals. Will and Tina had three children, all born at Kalaupapa: William Walter Goodhue, John D. Goodhue and Victoria Goodhue. They were later divorced. Click HERE for a prior story on the research by Alice Ball. Once known as leprosy, the disease was renamed after Dr. Gerharad Armauer Hansen, a Norwegian physician, when he discovered the causative microorganism in 1873, the same year that Father Damien volunteered to serve at Kalaupapa. The image shows Kalawao, Molokaʻi (Kalaupapa in 1922.) In addition, I have added other images in a folder of like name in the Photos section on my Facebook and Google+ pages. The common Hawaiian name for the disease was Maʻi Pākē, or Chinese sickness. One of the earliest descriptions of it in Hawaiʻi was written by the Reverend Charles Samuel Stewart, a missionary in the 2nd Company of American Protestant missionaries, who landed at Honolulu in 1823. It rapidly spread on Oʻahu. In response, the Legislative Assembly of the Hawaiian Islands passed “An Act to Prevent the Spread of Leprosy” in 1865, which King Kamehameha V approved. This law provided for setting apart land for an establishment for the isolation and seclusion of leprous persons who were thought capable of spreading the disease. On June 10, 1865, a suitable location for incurable cases of leprosy came up for discussion. he peninsula on the northern shore of Moloka’i seemed the most suitable spot for a leprosy settlement. Its southern side was bounded by a pali – vertical mountain wall of cliffs 1,800 to 2,000 feet high, and its north, west and east sides by the sea and precipitous shores. Landings were possible in only two places, at Kalaupapa on the west side and at Kalawao on the east side of the peninsula, weather permitting. The first shipment of lepers landed at Kalaupapa January 6, 1866, the beginning of segregation and banishment of lepers to the leper settlement. Damien (born as Jozef de Veuster,) arrived in Hawaiʻi on March 9, 1864. He continued his studies here and Bishop Maigret ordained Father Damien at the Cathedral of Our Lady of Peace, on May 21, 1864; in 1873, Maigret assigned him to Molokaʻi. Damien spent the rest of his life in Hawaiʻi; he died April 15, 1889 (aged 49) at Kalaupapa. Of the 50 religious communities in the US contacted, only Mother Marianne’s Order of Sisters agreed to come to Hawaiʻi to care for people with leprosy. The Sisters arrived in Hawaii on November 8, 1883. In the summer of 1886, the Sisters took care of Damien when he visited Honolulu during his bout with leprosy. He asked the Sisters to take over for him when he died. Mother Marianne led the first contingent of Sister-nurses to Kalaupapa, Molokaʻi, where more than a thousand people with leprosy had been exiled. A third person in Hawaiʻi, Alice Ball, made notable contributions in the treatment of the disease. In the fall of 1914, she entered the College of Hawaiʻi (later called the University of Hawaiʻi) as a graduate student in chemistry. The significant contribution Ball made to medicine was a successful injectable treatment for those suffering from Hansen’s disease. Although not a full cure, Ball’s discovery was an extremely effective in relieving some of the symptoms of Hansen’s disease and was a significant victory in the fight against a disease that has plagued nations for thousands of years. The discovery was coined, at least for the time being, the “Ball Method.” During the four years between 1919 and 1923, no patients were sent to Kalaupapa – and, for the first time, some Kalaupapa patients were released. Once known as leprosy, the disease was renamed after Dr. Gerharad Armauer Hansen, a Norwegian physician, when he discovered the causative microorganism in 1873, the same year that Damien volunteered to serve at Kalaupapa. About 8,000 people have been exiled there since 1865. The predominant group of patients were Hawaiian and part-Hawaiian; in addition there were whites, Japanese, Chinese, Portuguese, Filipino and other racial groups that sent to Kalaupapa. The law remained in effect until 1969, when admissions to Kalaupapa ended. 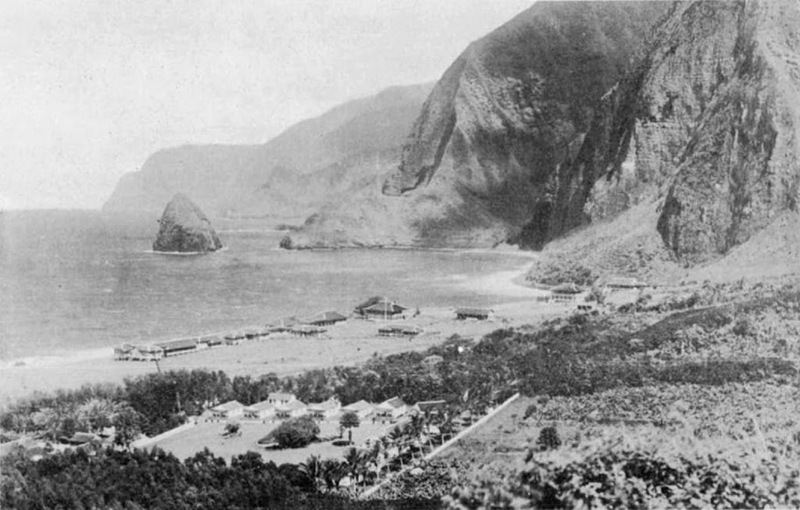 The image shows a view of Kalaupapa, Kalawao. Farmers Peter and Barbara Koob had five children in Germany and five children in the United States. On January 23, 1838, their daughter, Barbara Koob (variants: Kob, Kopp and now officially Cope,) was born in the German Grand Duchy of Hess-Darmstadt. The next year, the family immigrated to the United States to seek opportunity. The Koob family settled in Utica, New York and became members of St. Joseph Parish, where the children attended the parish school. In 1848, young Barbara received her First Holy Communion and was confirmed at St. John Parish in Utica when, in accordance with the practice of the time, the bishop of the diocese came to the largest church in the area to administer these two sacraments at the same ceremony. 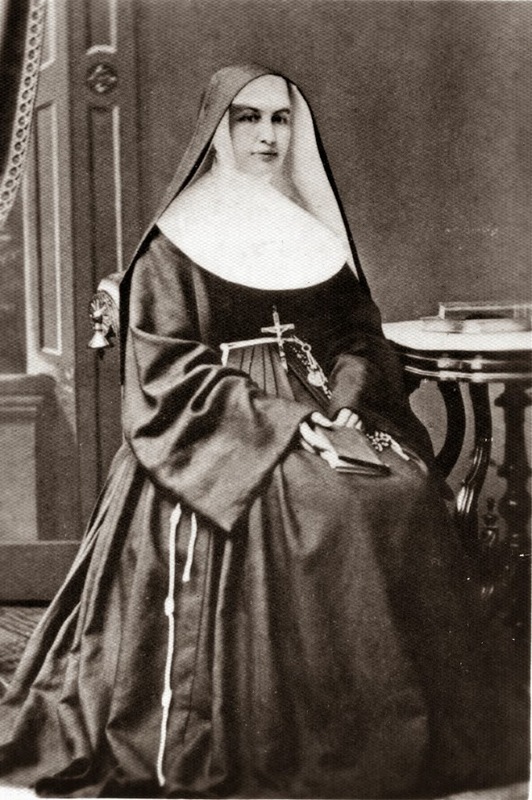 After her father’s death, Barbara, in August, 1862, entered the Sisters of the Third Order of Saint Francis in Syracuse, NY, and, on November 19, 1862, she was invested at the Church of the Assumption. She soon became known as Sister Marianne. As a member of the governing boards of her religious community, she participated in the establishment of two of the first hospitals in the central New York area, St. Elizabeth Hospital in Utica (1866) and St. Joseph’s Hospital in Syracuse (1869). These two hospitals were among the first 50 general hospitals in the US. Sister Marianne began her new career as administrator at St. Joseph’s Hospital in Syracuse, NY in 1870 where she served as head administrator for six of the hospital’s first seven years. In 1877, Sister Marianne was elected Mother General of the Franciscan congregation and given the title “Mother” as was the custom of the time. Of the 50 religious communities in the US contacted, only Mother Marianne’s Order of Sisters agreed to come to Hawaiʻi to care for people with Hansen’s Disease (known then as leprosy). The Sisters arrived in Hawaiʻi on November 8, 1883, dedicating themselves to the care of the 200-lepers in Kakaʻako Branch Hospital on Oʻahu. This hospital was built to accommodate 100-people, but housed more than 200. The condition at the hospital were deplorable. Each Sister-nurse learned to wash the wounds, to apply soothing ointment to the wounds, and to bring a sense of order to the lawlessness that prevails when there is abandonment of hope. In 1884, Mother Marianne Cope and the Sisters of St. Francis came to Maui and with a royal bequest from Queen Kapiʻolani, established Malulani Hospital (“Protection of Heaven”) in Wailuku, next to the site of St. Anthony’s Church. Malulani was the first hospital established on Maui. In 1885, realizing that healthy children of leprous patients were at high risk of contracting the disease, yet had no place to live, she founded Kapiʻolani Home on Oʻahu for healthy female children of leprosy patients. Because of her work, she was the recipient of the Royal Medal of Kapiʻolani. In the summer of 1886, the Sisters took care of Father Damien (later Saint Damien) when he visited Honolulu during his bout with leprosy. He asked the Sisters to take over for him when he died. Mother Marianne led the first contingent of Sister-nurses to Kalaupapa, Molokaʻi, where more than a thousand people with leprosy had been exiled. Upon arrival, on November 14, 1888, she opened the CR Bishop Home for homeless women and girls with Hansen’s Disease. To improve the bleak conditions, Mother Marianne grew fruits, vegetables and landscaped the area with trees, thus creating a better environment among the residents. While at Kalaupapa, Mother Marianne predicted that no Franciscan Sister would ever contract leprosy. Additionally she required her sisters use stringent hand washing and other sanitary procedures. Upon the death of Saint Damien on April 15, 1889, Mother Marianne agreed to head the Boys Home at Kalawao. The Board of Health had quickly chosen her as Saint Damien’s successor and she was thus enabled to keep her promise to him to look after his boys. The Boys Home at Kalawao was completely renovated between 1889 – 1895 during her administration. During the renovation, it was renamed Baldwin Home by the Board of Health in honor of its leading benefactor, HP Baldwin. Mother Marianne’s spirit of self-sacrifice enabled her to live and work with leper patients for 35 years. Although there was not yet a cure, the Sisters could offer the lepers some semblance of dignity and as pleasant a life as possible. Mother Marianne died in Kalaupapa on August 9, 1918. The Sisters of St. Francis continue their work in Kalaupapa with victims of Hansen’s Disease. No sister has ever contracted the disease. The image shows Marianne Cope. In addition, I have added other images in a folder of like name in the Photos section on my Facebook and Google+ pages. At the age of twenty-four, Rudolph Wilhelm Meyer emigrated from Germany to Hawaiʻi where he arrived on January 20, 1850. At the time, Meyer listed his occupation as a surveyor. His main purpose in leaving Germany was to join the “Gold Rush” to California in 1848, but he was delayed on a stopover in Sidney, Australia, and again in Tahiti, after which he landed at Lāhaina, Maui. Meyer spoke German, French and English when he arrived in Hawaiʻi, and soon wrote and spoke fluent Hawaiian. Meyer settled on Molokaʻi. There, he met the Reverend Harvey Rexford Hitchcock I, who accepted him as a house guest at Kaluaʻaha, Molokaʻi. While living with Reverend Hitchcock, he met High Chiefess Kalama Waha, who later became his wife. Sometime later, he moved his family to Honolulu where he worked for Austin and Becker at an office located on Maunakea Street. The Meyer family later moved back to Molokaʻi and made their permanent residence at Kalaʻe. They eventually had eleven children, six boys and five girls. He supported his family, in part, by holding a number of local commissions from the Royal Hawaiian government, but primarily from his diverse agricultural activity. He planted at various times coffee, corn, wheat, oats, taro, potatoes, beets, cassava, peaches, mangoes, bananas and grapes. He was the first on Molokaʻi to grow, produce and mill sugar and coffee commercially and he exported these to Honolulu and California. He also operated a large dairy from which he produced butter. Meyer started to grow sugar at the time when the 1876 Reciprocity Treaty between the United States and Hawaiʻi removed the tariff on Hawaiian sugar sold in the United States. Rather than the expansion and innovation that followed the Treaty, Meyer scaled his mill to satisfy the modest 50- ton annual production from his family’s 30-acres of sugar cane. 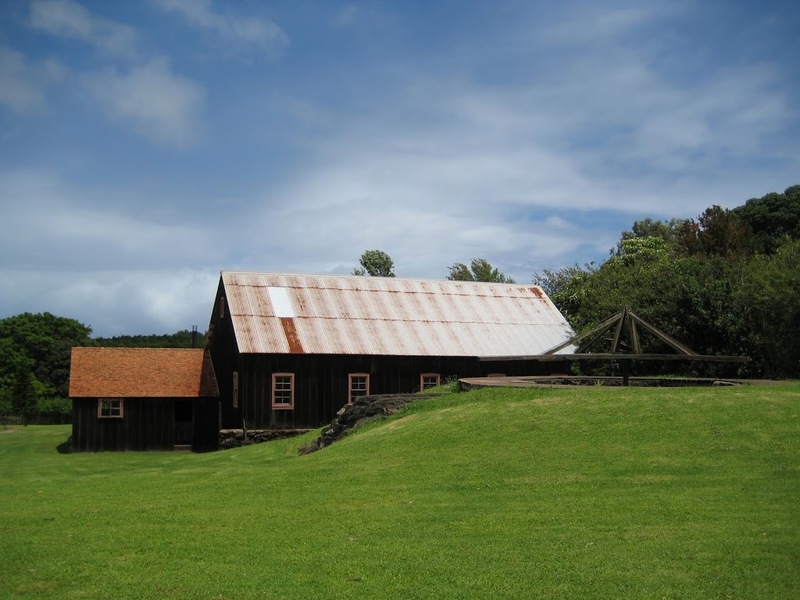 Constructed in the 1870s the RW Meyer Sugar Mill is one of the only sites in Hawaiʻi with sufficient material remains intact to demonstrate, fairly completely, a nineteenth-century process of sugar manufacture. The equipment included a mule-driven cane crusher, redwood evaporating pans and some copper clarifiers. In the early-1880s, when the average investment in Hawaiʻi’s fifth-six sugar plantations exceeded $280,000, the Meyer family investment of $10,000 made their mill one of the smallest in Hawaiʻi. Meyer adopted and followed mill practices more representative of the 1850s and the 1860s than the 1870s and 1880s. In the 1850s, animals powered the mill equipment; while he stuck with this method into the future, others replaced the animal power with steam and water. The Meyer Sugar Mill easily accommodated the milling requirements of the family’s sugar lands and repaid the investment within a few years; however, during the 1880s the price paid for sugar steadily declined. He also created one of the first trails used to travel between Kalaupapa Peninsula and the mauka lands. It was used to transport cattle and supplies down to Kalawao. RW Meyer Ltd still owns property in the southwest corner of the Kalaupapa National Historical Park near the Kalaupapa Trailhead and maintains a Memorandum of Understanding (MOU) with the Park for trail access, maintenance and the planting of native plants. The Meyer Mill has been restored and is operating as a museum. Lots of information here is from NPS and rwmeyer-com. The image shows the RW Meyer Sugar Mill. In addition, I have added other images in a folder of like name in the Photos section on my Facebook and Google+ pages.